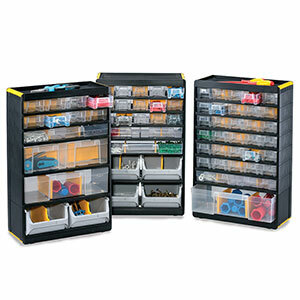 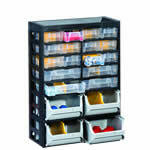 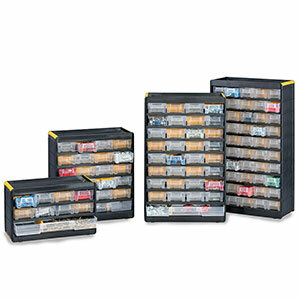 Get your work area organized with the help of one of these plastic multi-drawer units. 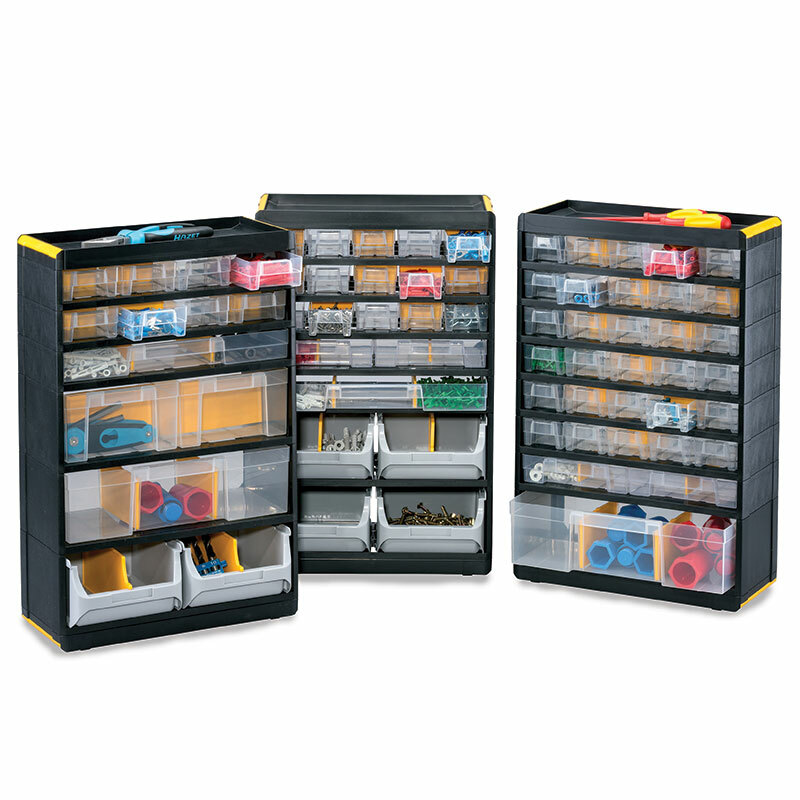 Perfect for maintenance workers, jewelry makers or even crafty hobbyists, these units provide the means to keep similar items together and keep the correct components right to hand. 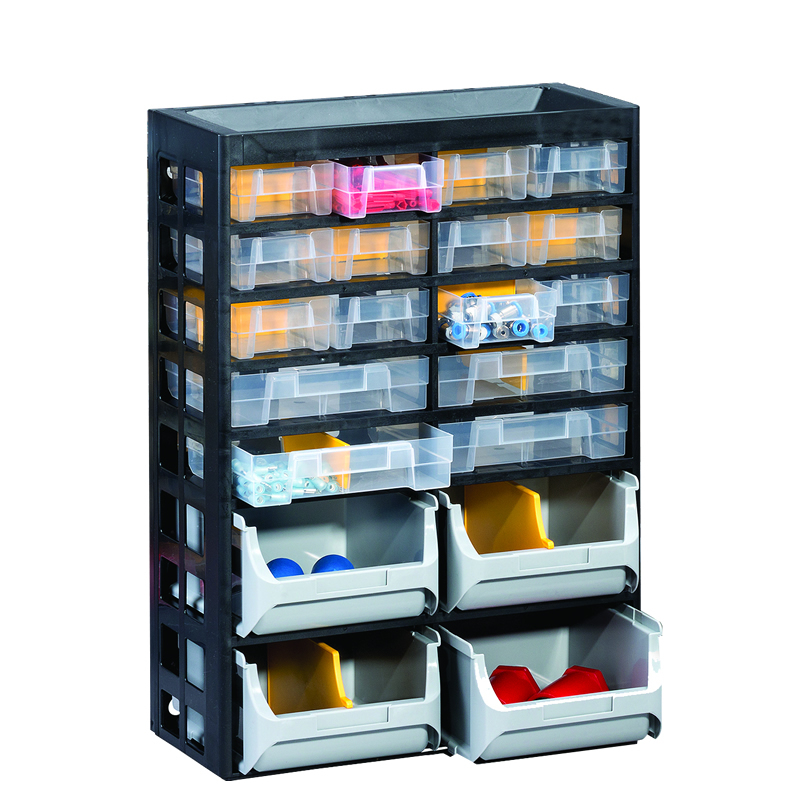 For additional compartmentalising, each drawer has a slot for a divider allowing similar items to be kept next to each other but not mixed. 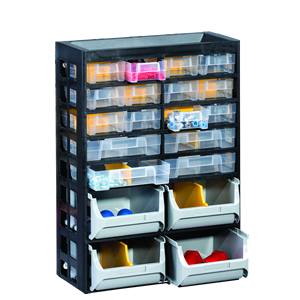 If multiple units are required, they can stack to create a single unit, or holes are on the back to allow wall mounting.